My heart was stirred, knowing, as I did, some of the challenges and adversity he had already faced. I felt a desire to be more like him, a valiant servant of God. So one night I prayed for a test to prove my courage. I can remember it vividly. In the evening I knelt in my bedroom with a faith that seemed almost to fill my heart to bursting. Within a day or two my prayer was answered. The hardest trial of my life surprised and humbled me. It provided me a twofold lesson. First, I had clear proof that God heard and answered my prayer of faith. But second, I began a tutorial that still goes on to learn about why I felt with such confidence that night that a great blessing could come from adversity to more than compensate for any cost. “And if thou shouldst be cast into the pit, or into the hands of murderers, and the sentence of death passed upon thee; if thou be cast into the deep; if the billowing surge conspire against thee; if fierce winds become thine enemy; if the heavens gather blackness, and all the elements combine to hedge up the way; and above all, if the very jaws of hell shall gape open the mouth wide after thee, know thou, my son, that all these things shall give thee experience, and shall be for thy good. “The Son of Man hath descended below them all. Art thou greater than he? There seems to me no better answer to the question of why trials come and what we are to do than the words of the Lord Himself, who passed through trials for us more terrible than we can imagine. “Therefore I command you to repent—repent, lest I smite you by the rod of my mouth, and by my wrath, and by my anger, and your sufferings be sore—how sore you know not, how exquisite you know not, yea, how hard to bear you know not. But President Monson has also wisely taught that a foundation of faith in the reality of those promises takes time to build. You may have seen the need for that foundation, as I have, at the bedside of someone ready to give up the fight to endure to the end. If the foundation of faith is not embedded in our hearts, the power to endure will crumble. My purpose today is to describe what I know of how we can lay that unshakable foundation. I do it with great humility for two reasons. First, what I say could discourage some who are struggling in the midst of great adversity and feel their foundation of faith is crumbling. And second, I know that ever-greater tests lie before me before the end of life. Therefore, the prescription I offer you has yet to be proven in my own life through enduring to the end. One of the keys to an enduring faith is to judge correctly the curing time required. That is why I was unwise to pray so soon in my life for higher mountains to climb and greater tests. “And now, I, Moroni, would speak somewhat concerning these things; I would show unto the world that faith is things which are hoped for and not seen; wherefore, dispute not because ye see not, for ye receive no witness until after the trial of your faith. “For it was by faith that Christ showed himself unto our fathers, after he had risen from the dead; and he showed not himself unto them until after they had faith in him; wherefore, it must needs be that some had faith in him, for he showed himself not unto the world. “But because of the faith of men he has shown himself unto the world, and glorified the name of the Father, and prepared a way that thereby others might be partakers of the heavenly gift, that they might hope for those things which they have not seen. 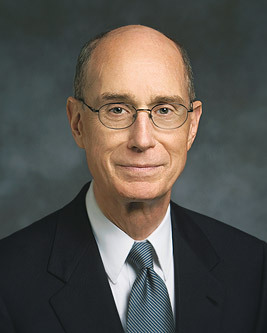 I have visited with a woman who received the miracle of sufficient strength to endure unimaginable losses with just the simple capacity to repeat endlessly the words “I know that my Redeemer lives.”9 That faith and those words of testimony were still there in the mist that obscured but did not erase memories of her childhood. I was stunned to learn that another woman had forgiven a person who had wronged her for years. I was surprised and asked her why she had chosen to forgive and forget so many years of spiteful abuse. She said quietly, “It was the hardest thing I have ever done, but I just knew I had to do it. So I did.” Her faith that the Savior would forgive her if she forgave others prepared her with a feeling of peace and hope as she faced death just months after she had forgiven her unrepentant adversary. I have another encouragement to those who now wonder if their faith in Jesus Christ will be sufficient for them to endure well to the end. I was blessed to have known others of you who are listening now when you were younger, vibrant, gifted beyond most of those around you, yet you chose to do what the Savior would have done. Out of your abundance you found ways to help and care for those you might have ignored or looked down upon from your place in life. When hard trials come, the faith to endure them well will be there, built as you may now notice but may have not at the time that you acted on the pure love of Christ, serving and forgiving others as the Savior would have done. You built a foundation of faith from loving as the Savior loved and serving for Him. Your faith in Him led to acts of charity that will bring you hope. I cannot promise an end to your adversity in this life. I cannot assure you that your trials will seem to you to be only for a moment. One of the characteristics of trials in life is that they seem to make clocks slow down and then appear almost to stop. There are reasons for that. Knowing those reasons may not give much comfort, but it can give you a feeling of patience. Those reasons come from this one fact: in Their perfect love for you, Heavenly Father and the Savior want you fitted to be with Them to live in families forever. Only those washed perfectly clean through the Atonement of Jesus Christ can be there. My mother fought cancer for nearly 10 years. Treatments and surgeries and finally confinement to her bed were some of her trials. If we have faith in Jesus Christ, the hardest as well as the easiest times in life can be a blessing. In all conditions, we can choose the right with the guidance of the Spirit. We have the gospel of Jesus Christ to shape and guide our lives if we choose it. And with prophets revealing to us our place in the plan of salvation, we can live with perfect hope and a feeling of peace. We never need to feel that we are alone or unloved in the Lord’s service because we never are. We can feel the love of God. The Savior has promised angels on our left and our right to bear us up. And He always keeps His word. I testify that God the Father lives and that His Beloved Son is our Redeemer. The Holy Ghost has confirmed truth in this conference and will again as you seek it, as you listen, and as you later study the messages of the Lord’s authorized servants, who are here. President Thomas S. Monson is the Lord’s prophet to the entire world. The Lord watches over you. God the Father lives. His Beloved Son, Jesus Christ, is our Redeemer. His love is unfailing. I so testify in the name of Jesus Christ, amen.